The court asked RCom to pay Rs 550 crore to Ericsson by October 1. It also directed Anil Ambani to give an undertaking to pay the amount to Ericsson. 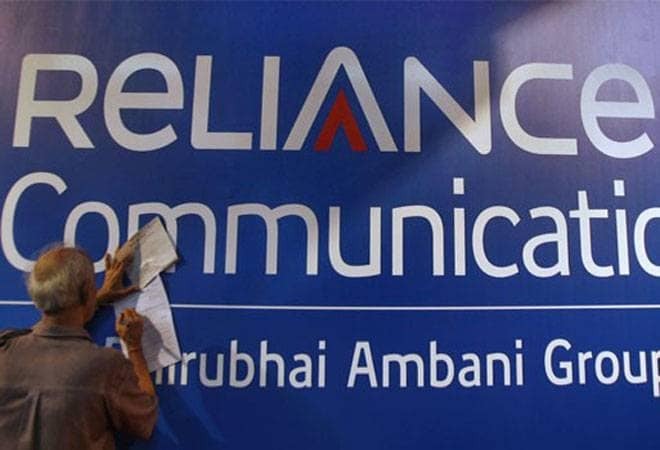 The Reliance Communications (RCom) stock rose in early trade today after TV reports said the Supreme Court has paved the way for sale of debt-laden telecom firm's assets to Mukesh Ambani's Reliance Jio Infocomm. The stock rose up to 14.95% in early trade to 17.06 level. At 11:55 am, the stock was trading 9.03% higher at 16.18 level on BSE. On May 31, the stock rose up to 20% in trade, a day after National Company Law Appellate Tribunal (NCLAT) stayed bankruptcy proceedings against the company after it agreed to pay Rs 550 crore to Ericsson to settle a payment dispute. The appellate tribunal's decision came as a relief for Anil Ambani's companies. The National Company Law Tribunal on May 15 had triggered the insolvency process against the debt-ridden company after Ericsson registered three separate applications against these companies over the non-payment of dues worth Rs 978 crore, which then amounted to Rs 1,600 crore. RCom owes around Rs 45,000 crore to as many as 31 domestic and international banks, including over Rs 10,000 crore to a Chinese lender. Due to mounting losses, the company began to wind down its mobile operations from last November. It was also not servicing the debt for many quarters before that as it was looking to recast the loans but did not materialise and since then many of its creditors had taken RCom to bankruptcy court. This had prevented the company from closing sale of its telecom tower business to Anil Ambani's elder brother-run Reliance Industries for over Rs 23,000 crore, apart from monetising other assets including selling its sprawling DAKC premises to the Chinese lender and pares debt.